Never Miss a Step in the DNA Evidence Collection Process! DNA evidence in criminal law cases can be a life-changing tool to secure convications or exonerate innocent suspects. As long as the DNA is handled and tested properly, that is. 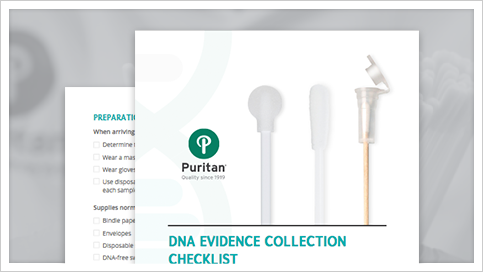 CHECKLIST: a comprehensive list that takes you through every step of the DNA evidence collection process.